At St Thomas Medical Group we are actively involved in research to help improve medical knowledge about illness and so develop better treatments for patients. Our current research studies are organised by the Clinical Research Network South West which is part of the NHS National Institute for Health Research. The research is all ethically approved and selected specially for primary care to help improve medical care now and in the future. You may be invited to take part in research. There is no obligation to take part and if you decline it will not affect your treatment in any way. Anonymised patient data may be used for research that is in the best interests of patients and the NHS as a whole. We participate in the national CPRD scheme with uses anonymised data to help medical research in the NHS. If you do not want to participate in any research or do not wish for your anonymised data to be used please write to the Practice Manager. Most studies have criteria for entry, they may be looking at a particular illness or group of patients, so often we will invite those people by letter. Feel free to ASK if you have any questions or wish to take part. We welcome any feedback you have about research. Please contact Dr Anita Pearson the Research Lead GP or pass on a research question or comment to the practice. This is a study that anybody over the age of 18 who has a permanent address within 25 miles of Exeter can take part in and does not require a referral from your doctor – you can refer yourself! The study aims to recruit over 10,000 people in the area. The project involves a 30 minute appointment, answering some questions about your medical history and lifestyle, and giving a small blood and urine sample. If you let the study team stay in touch with you; they can tell you about the results of their research and may invite you to take part in future studies that require volunteers with your particular characteristics. 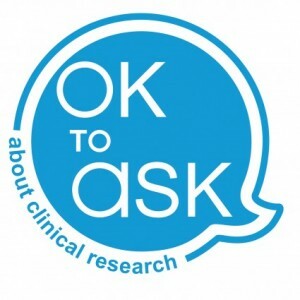 Exeter Clinical Research Facility explains more about the study and how to sign up. Join Dementia Research (JDR) is a national project aiming to improve dementia care by increasing the number of people involved in dementia research. People of any health and age are welcome to sign up. 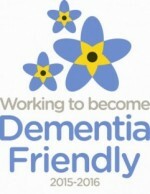 Would you like to join the fight against dementia? Sign up today – Join Dementia Research. Our Practice has contributed a great deal in the study of migraine and headache which has helped develop national guidelines for best care. The Exeter Headache Clinic website has details of the headache research which has been done here at St Thomas.